Did Olympic doping lead to world-wide problem? 26-Sep-2012 by THF in Hoot's Corner | Comments Off on Did Olympic doping lead to world-wide problem? At the "Doping as a Public Health Issue" Symposium that was held September 21 and 22 in Stockholm Sweden, had experts explaining that using doping products or blood products to improve athletic performance is now a public health problem. More and more medical experts are recognizing a) the widespread use of anabolic steroids by our youth, and b) the severe dangers that these drugs can have on users. 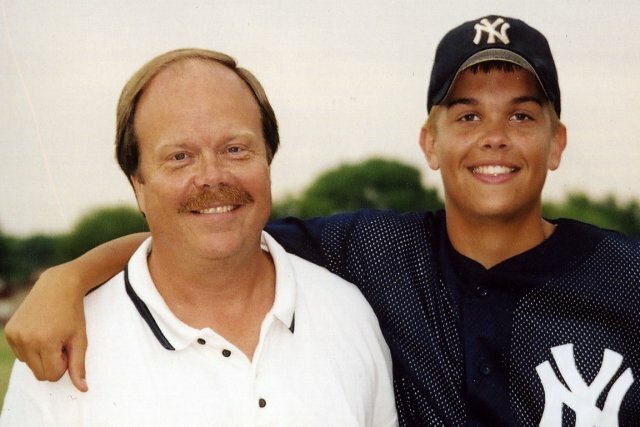 Steroids killed his son.Â Donald Hooton is convinced. There are nearly 10 years, Texas father found his son Taylor, 16, hanged himself in his house in a wealthy suburb of Dallas.Â For Mr. This summer, less than two weeks after the conclusion of the London 2012 Olympics, the sports world anxiously observed as Lance Arm-strong gave up his fight against allegations that he used banned substances. The U.S. Anti-Doping Agency accused Armstrong, who won the Tour de France seven consecutive times after beating cancer, of taking performance-enhancing drugs. STOCKHOLM (Reuters) – The use of performance-enhancing drugs is now a public health matter rather than simply a sporting problem, delegates said at a top anti-doping conference. Despite Eunice Shriver’s worries over performance-enhancing drugs, Arnold proved they didn't affect his performance in bed. In 1989, Maria Shriver, at age 33, became pregnant with the first of the couple's four children. Juha Mieto, skiing, and steroids? 24-Sep-2012 by THF in Hoot's Corner | Comments Off on Juha Mieto, skiing, and steroids? Kaarlo Kangasniemi, a Finnish Olympic gold medallist in weightlifting, says that he gave advice to the celebrated cross-country skier Juha Mieto on the use of anabolic steroids in 1975. Johannesburg – A total of 55 doping rule violations were reported across 13 sports disciplines in South Africa between April 2011 and June 2012, the SA Institute for Drug Free Sport (Saids) announced on Wednesday. Audrey Allen, 19 months old, died from extensive head injuries on Nov. 20, 2010, after she was left alone for several hours with Kruzik.